The BEST Team & Player Pages for your Custom Sports Website. Create your free player and team pages today! Wooter supports Career stats for unlimited seasons making it the best tool for high school & College Recruiting, Athletic Scholarships, and More. Control how recruiters, scholarship Programs, and Fans view players in your sports organization. 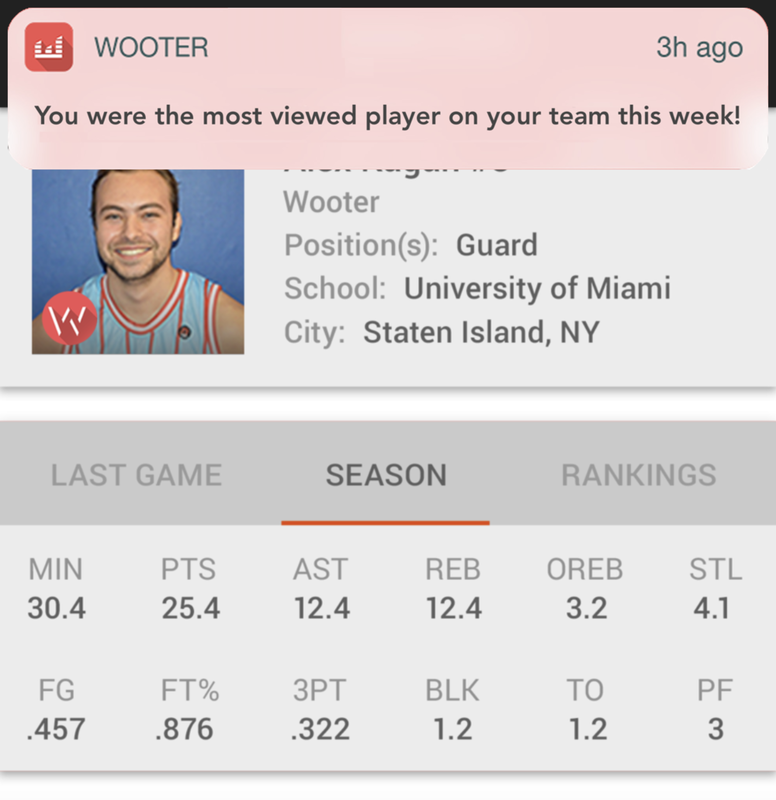 Wooter makes it easy to share information from your league, team, or tournament with the people that matter. Open your player profiles up to recruiters and scholarship programs or just keep them private for your organization. Our comprehensive analytics take things a step further, giving predictions of player performance and offering visual insights. Wooter Team & Athlete Pages Ensure athletes, fans, and teams stay engaged with your Sports website & app. Bring in traffic and Build your sports brand with Wooter. Everyone will log on to see the latest rankings, standings, and view each other's profile. Team pages and Player pages let people compare stats, game highlights, and so much more. Our beautiful designs and custom integrations make your organization official. And best of all since we support unlimited seasons you can go back in time in an instant and view a lifetime of stats for any team or player in your organization. Complete view of stats, performance, and predicted performance using Wooter's Powerful Stats Algorithm. Bring value to your sports organization by using our proprietary algorithms to predict the future performance of any athlete in your league, team, or tournament. Wooter's stats platform also provides a full breakdown of stats across any season, any time range. Best of all Wooter allows you to compare players across teams, leagues, and divisions. Wooter's stats system is the most advanced on the market and the best part is we provide our technology absolutely free as part of our basic plan. All you have to do is sign up, create your organization - and you could start taking advantage of the full power of the Wooter platform.